OK, here are some pictures of my custom approach. 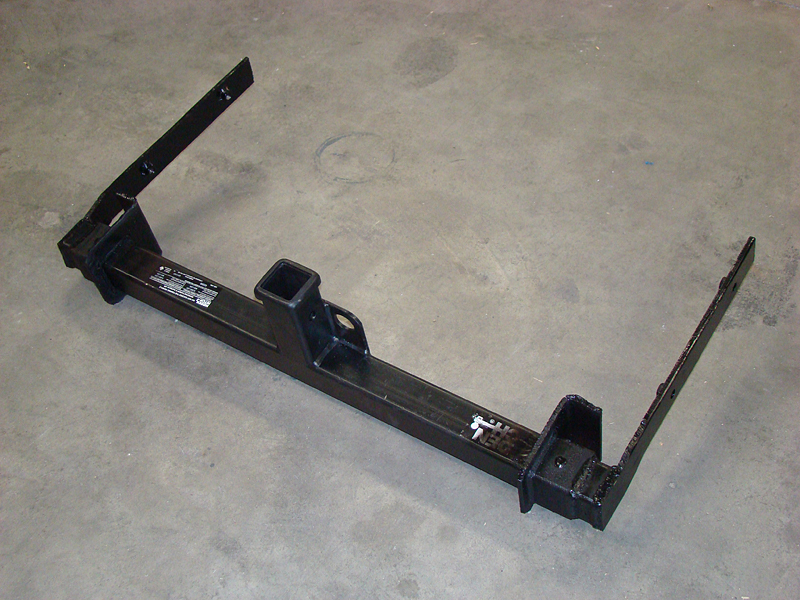 I need to take more pictures when I take mine apart for paint and rebar fitting, but I just finished my custom hitch. It took me about 3 nights to build. The legs that go into the "frame rails" are 1x2x.120 with .75x.120 DOM sleeves for bolts, with nuts welded to the inside. I also used the factory 5mph shock mounting plates. I passed the arms through those plates after plasma cutting the shocks out of them. I'd like to up the bolt size on those if there is clearance to do so, but right now it's mounted with the 4 ~6mm bumper bolts and 4 1/2" bolts through the slotted holes in the frame with 2x3" .25" plate washers on the outsides. I don't have a good camera so any pics I get with the bumper cover off will be just as fuzzy as these. I towed 2020# about 50 miles last night and this morning and have no complaints. With the upgraded rear brakes and stock fronts it stopped better than I expected. I don't have my electrics mounted yet and I don't have a brake controller yet, nor a braked trailer to tow. I still have to trim the flange off the bottom of the bumper cover and chop up the valence too, for safety chain access, pin access, and electrics mounting. I'm planning to just mount the 7 pin hookup to the valance next to the receiver tube. Here's a gallery, excuse the poor cameraphone photos. Last edited by mr.mindless; March 24th, 2009 at 08:57.